Different myths about dyslexia are being perceived by a lot of people and one of these myths is that they see things backwards. 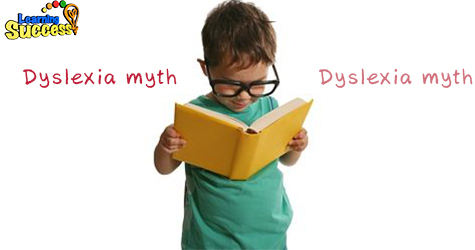 The fact is dyslexia is not caused by having vision problems but rather the difficulty in reading. "The child goes to kindergarten when he is 5 or 6 years old and begins to learn his alphabets. He is now taught the letter ‘b’. He has no problem learning that. The confusion arises when the letter ‘b’ is turned the other way around and he is taught that this is the letter‘d’. It sounds almost the same as the letter ‘b’ and he also remembers that a car is a car regardless of the angle he sees it from. A few days later the teacher turns the letter upside down and calls it ‘p’ and finally turns ‘p’ to face another direction and calls it ‘q’." "I have seen many children, dyslexic or otherwise who are confused by some of these letters including m/w and words such as was/saw and numbers 6/9. They outgrow this confusion usually by end of primary 2."